Circa 1709. 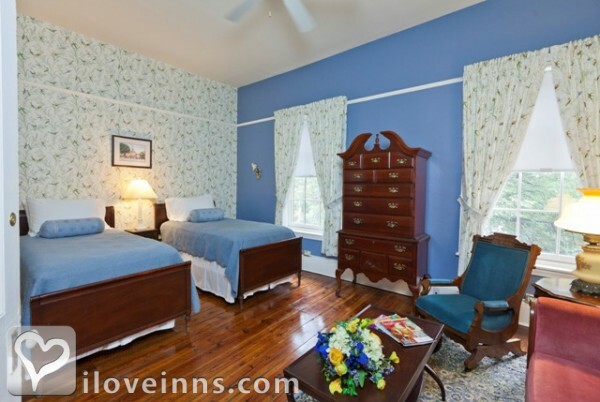 Recently restored with original white cedar hardwood floors and high ceilings, this historic and peaceful retreat boasts Georgian/Federal architecture and antique furnishings. 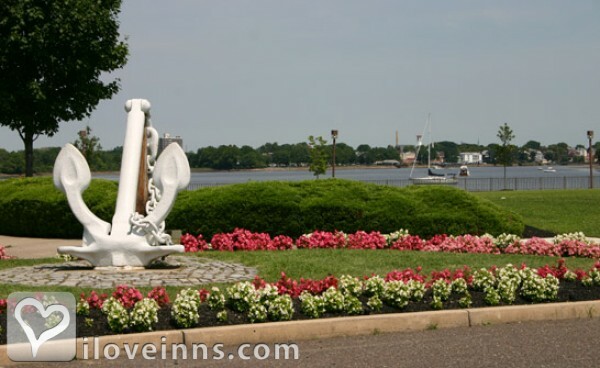 Located just one block from the Promenade in Burlington, New Jersey, it is a nice walk along the green banks of the Delaware River. 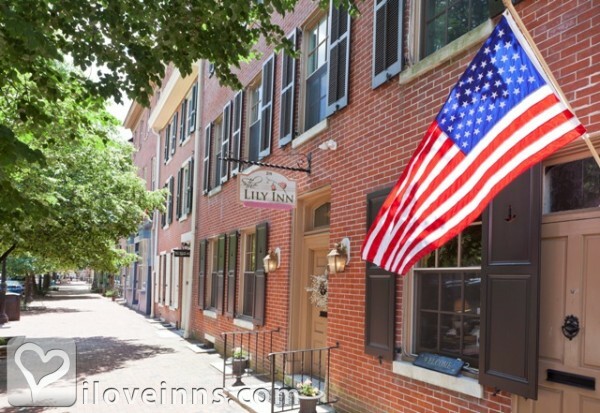 This pet-friendly inn offers guest rooms on the second and third floors with pleasing amenities that include bottled water, Lamplighter confections and Lily Inn signature soaps. 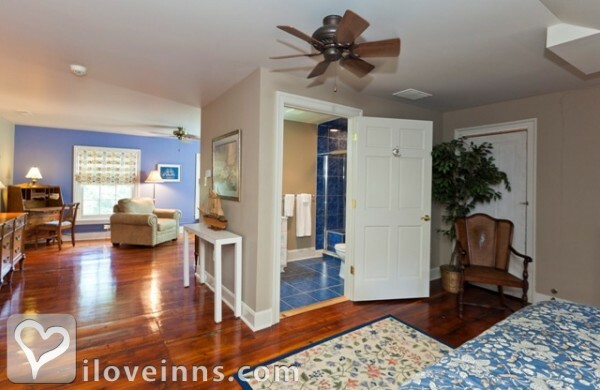 Select a room with a blue marble gas fireplace and whirlpool tub. Explore the area after breakfast and come back to gather for afternoon tea and beverages by the fire or on the brick patio in the garden. 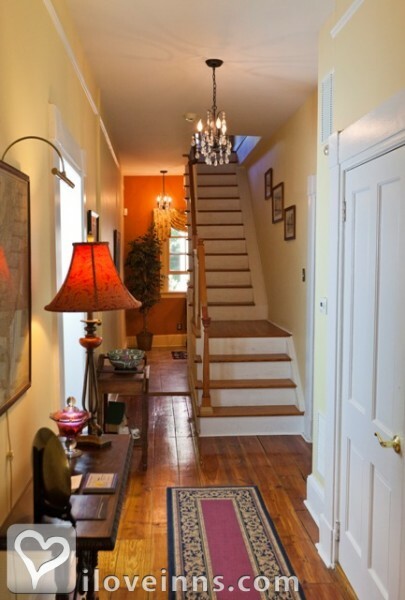 Take the nearby RiverLine train that goes from Camden to Trenton and stops at each river town. Connect to New York or Philadelphia for a delightful day trip.Location: City/Urban. Payment types accepted include Visa, Master Card, Travelers Checks, American Express, Personal Checks and Discover. 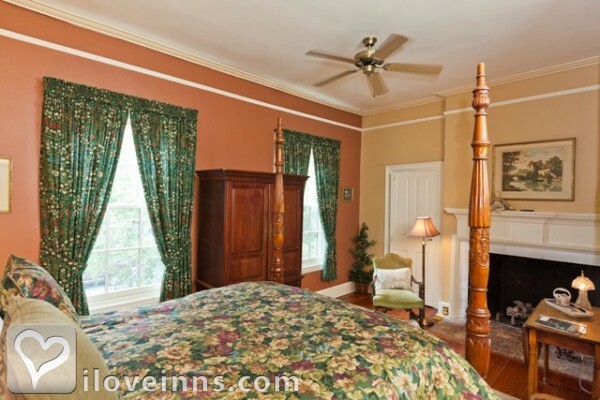 Rooms: This property has 5 total guest accommodations with private bath, 3 with fireplaces, 1 with whirlpool, 1 suite. 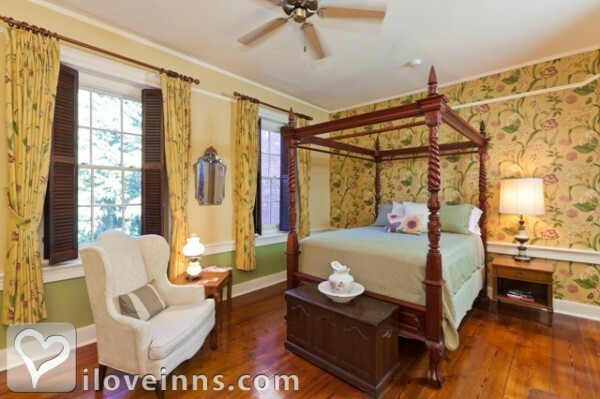 The types of beds available include Double, King, Queen and Twin. 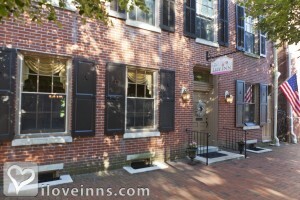 Cancellation: $50 deposit per room per night. Deposit is refundable with 48 hour notice of cancellation. Types of meals: Early Coffee/Tea, Full Breakfast, Restaurant off Premises and Snacks/Refreshments. Amenities In Room: Iron/Ironing Board, Cable TV, Desk, Hair Dryer, Central Air, Television, VCR, Clock Radio, Ceiling Fans, Fireplace, Wireless Internet Access, For the convenience of our guests we offer coffee/tea, water, soda, snacks, ice, and fruit 24/7. Amenities On Site: Television, Copy Machine, Library, Fireplace, VCR, Fax, DVD, For the comfort of our guests we offer coffee/tea, water, soda, snacks, ice, and fruit 24/7. Business Traveler Amenities: Daily Newspapers, Desk, FAX On-site, Flexible Cancellation, Flexible Check in/out Times, Gym Nearby, Gym On-site, Hair Dryer, Internet Access, Iron/Ironing Board, Television and Wireless Internet Access. Events Hosted: Weddings, Seminars, Family Reunions, Romantic Getaways, Honeymoons and Meetings. Other Activities: Museums, Golf, Fishing, Canoeing/Kayaking, Antiquing, Amusement Park, Parks, Shopping (Local Crafts) and Historic walking tours.